to see all the details and the magical inspiration . to see all the magnificent blooms . I adore these roses . I documented something about summer . always my little helper in the garden. So beautiful watching you in a world of your own. sometimes when I am completing the case I find one of the colors difficult to fit in ?? in the form of a brad, stitching, ink or similar . Love this page Heather. 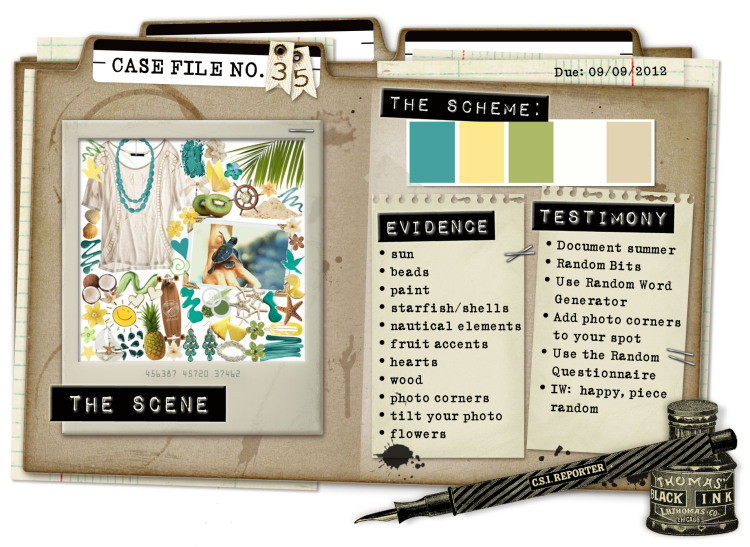 You have such a beautiful classic style, and I just adore how you have arranged your journaling on your page. Wonderful! Oh how gorgeous! and I love the softness of the green hues.. beautifully designed, pure bliss in the photo, love the beautiful big flower, love watering my pots too!! I do love how you add just a touch of colour sometimes. And love the two tone title on this page and of course, everything else. The large white flower is the perfect touch. Such a soft,feminine and beautiful page. Oh my this is just gorgeous! I really love the green and the sewing. Such a warm, beautiful lo! Wowwwwwwwwwwwwwwwwww!!!! This is GORGEOUS!!! I love love love that photo, the flowers and SO LOVING how you did the title!!!!!!! Wow Heather! This is gorgeous... love your interpretation of the color combo and the masking is just fantastic! Amazing work, as always. Your work is just so, so beautiful! I'm so grateful to have you on my team! Such a gorgeous page - your work is always just so awesome! as always your work is truly stunning Heather...truley stunning! You know I love your work and this page looks fantastic! Beautiful LO and picture and heartfelt journaling a perfect combo!! !